Спасибо. Но "Попай" там нет, хотя много чего интересного, в т.ч. и по Израилю. Вот он. Из "Бетаон Хейль hа-Авир" за декабрь 2001г. Кстати, там сказано, что придумал этот знак как раз таки лётчик с F-16, подполковник. Знак уже нарисован на всех "Баз мешупар". Хотя ни в том номере, ни в последующих ни одного фото с этим знаком нет, несмотря на обилие фотографий "Баз мешупар". О, здорово, птичка правда поxожа на ту, что нарисована на F-15I #001, а вот и на F-16. Спасибо. Сейчас и у меня это видно. По данным февральского номера журнала ВВС Израиля несколько месяцев назад завершена абсорбция в ВВС УАБ JDAM. Работы велись с 1998г и включали разработку програмного обеспечения, обеспечивающего связь электроники бомбы с эдектроникой самолёта-носителя и десятки испытательных полётов. Бомбы поступили на вооружение F-16 (первой была эскадрилья "Абирей hа-Цафон"). Стоимость наборов JDAM (которые устанавливают на обычные бомбы, превращая их в УАБ) - около 25,000 $ - мизер для управляемого авиационного оружия. Фирма "Боинг" дает 20-летнюю гарантию на эти наборы. Там есть фото JDAM на F-16C ВВС Израиля ("Барак"). В последнем номере "Бамахане hа-Шавуа" (04.04.03) опубликовано, что ВВС закупает механизированные погрузчики BL-1 для подвески бомб под самолёты. Стоимость каждого - 420,000 шекелей. Пока закупаются погрузчики на 1.7 тонны, в будущем намеченно купить и 2.5-тонные. Уже куплены 10 таких погрузчиков для эскадрильи F-15I ("Раам") в Хацерим. Погрузчик позволит снизить число занятых на вооружении самолёта с 5 до 2 и сократит необходимое время в 4 раза, а также позволит параллельно заправлять самолёт. Погрузчик разработан фирмами "Хеврот Таасиот Бавас LTD" и "Хеврат Таасиот Лахиш" (специализирующаяся на производстве смесителей кормов для с/х). К погрузчику проявили интерес ВВС США. По сообщению последнего (23/05/03) номера "Бамахане hа-Шавуа" ВВС закупают 13 подъёмных кранов американской фирмы "Ист Вест" для эскадрилий техобслуживания авиабаз. В дальнейшем возможне закупка дополнительных кранов. Краны стоят по 70,000 долларов штука (старые стоили всего по 20,000 шекелей), их будут использовать на F-15 и F-16 для снятия фонарей кабин и демонтажа конформных топливных баков (CFT). Переношу сюда. Кстати, о Spice уже шла речь в этой теме, но о том, что она уже на вооружении ВВС - ранее не сообщалось. Вообще-то, оно не ракета а бомба . Но все равно - вещь! Range extension and guidance kit for free-fall bombs. The Rafael SPICE (Smart Precise Impact and Cost Effective) guidance kit is modular upgrade for 'dumb' bombs, that provides greatly enhanced terminal accuracy and significant stand-off range for Mk 80 series General Purpose (GP) bombs. SPICE is unique because it is the only low-cost (and available) PGM option that combines both autonomous GPS/INS guidance and an electro-optical seeker for `man in the loop' control. The system is significantly more accurate than equivalent GP bomb precision upgrades that rely solely on GPS guidance. It also offers more range thanks to its large wing surfaces, plus the advantages and capabilities of a real-time seeker/datalink combination. The Israeli requirement for a new class of affordable stand-off weapon emerged after the Yom Kippur conflict of 1973. 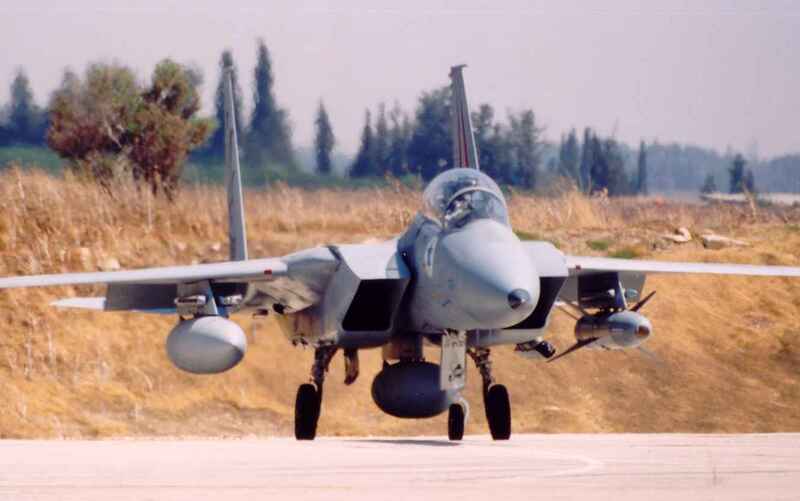 The Israel Defense Force/Air Force (IDF/AF) was one of the first air forces to recognise the need to move combat operations away from direct attack methods, and adopt a precision stand-off capability instead. The first result of this new strategy was the Rafael Popeye air-to-ground missile. Popeye proved to be a highly effective weapons system, but also one with a substantial price tag. During the late 1980s, Rafael began to look at ways of achieving similar levels of performance and accuracy, in a much more affordable package. During 1987/1988, the company began to publicly discuss a new weapons concept called Pyramid, which added the Popeye guidance system to a gliding GP bomb. In 1991, Operation Desert Storm brought a new impetus to the development of a low-cost PGM system. The emergence of the SPICE concept also came hand-in-hand with a change in Rafael's own philosophy to operate within the regular cost constraints of a commercial company - and not as a government-funded R&D centre. The key to the successful development of SPICE as a worthwhile and affordable weapon was the determination not to invent any new single-application technologies for it. It has been described as 'an integration, not an invention'. Serious work began in the early half of the 1990s, after 1991, and the basic SPICE design went through a series of iterations in the years that followed. The first SPICE hardware emerged in the second-half of the decade. Early illustrations of the weapon showed the modular nose-cone fitted with four forward control surfaces, then later reduced to two as cost-saving measure. Further testing re-instated the initial configuration of four fins, but the shape and position of the SPICE fin and wing surfaces also changed several times. All existing development work has been done with the 2,000 lb Mk 84 bomb body - but Rafael states that the system's components can be fitted to any bomb with similar mass properties and aerodynamics. Studies have also been conducted for the 1,000 lb Mk 83 bomb series, but no applications on smaller bombs (such as 500 lb class weapons) have yet been considered. Rafael will deliver either a finished system, or modification kits to upgrade a customer's existing inventory. The company also has the capability to supply new warheads and bomb fuses. The SPICE name is an unclassified export designation, but the official Israeli service designation of the system is unknown. The unit cost of the SPICE upgrade is estimated at less than US$200,000 (depending on the quantities acquired, integration costs, logistic support requirements and so on) - according to Rafael the SPICE delivers 60 per cent of the capability of the Popeye missile at a third of the unit price. The modification kit makes a substantial difference to the size and shape of the baseline Mk 84 bomb - approximately doubling it in length. It has an all-up weight of 1,050 kg, and a wingspan of 1.2 m. The new extended nosecone incorporates a set of four constant-chord fixed fins, the GPS/INS receiver and navigation system and an (optional) terminal seeker. To date, the SPICE has always been publicly displayed with a Charge-Coupled Device (CCD) TV seeker, but other seeker options - such as a FLIR for all-weather day/night operations - are believed to be available. The tail assembly is fitted with four large and sharply swept constant-chord wing surfaces, that extend forward at their roots to overlap onto the main bomb body. Four smaller actuated control fins are mounted at the rear of the tail unit, which also houses the electronics and computing systems, power supply, fin actuators, aircraft interface and (optional) datalink. To keep development and production costs low, all of the central elements of the SPICE system have been adapted from other Rafael weapons. The optical seeker is based on that fitted to the NT/Spike anti-tank missile, while the fin actuators are derived from the Barak naval air defence missile. The SPICE uses combined GPS/INS guidance to fly out to a pre-programmed target, and the weapon has a stated maximum range of over 50 km (31 miles). A square GPS antenna can be seen above the nose module of the weapon. The incorporation of a datalink into the SPICE concept was a relatively late addition to the programme, but the datalink/seeker option gives it a host of important capabilities. By allowing direct control from the launch aircraft, an airborne operator can use the seeker imagery to provide positive target identification or retarget the weapon against a new aim point. The seeker allows more accurate terminal homing than GPS/INS inputs alone, and also permits battle damage assessment when viewing the target area. The availability of the EO seeker means that the user does not need super-accurate GPS data to effectively employ the weapon. It also makes the SPICE immune from the Target Location Error (TLE) factor - and the risk of signal jamming - that is inherent in all GPS-guided weapons. However, a CCD TV seeker is limited to daytime use only. The seeker's digital datalink can be integrated with the launch aircraft, but Rafael also offers a podded option using the casing from its Litening laser designation pod to house the datalink electronics. Rafael is known to have developed an autonomous autotracking function for its EO seekers. This allows the weapon to lock on to a target with all the accuracy of the terminal seeker, while freeing the launch aircraft from maintaining a guidance link to the weapon. It can be assumed that the SPICE has this function, allowing the seeker to autotrack a target once an impact point has been selected by the onboard operator. When using autonomous GPS/INS guidance the SPICE has a CEP of between 5 and 10 m. Using man-in-the loop guidance, with the EO seeker, the CEP is reduced to 1 m. The accuracy of the autotracking function is believed to be between 1 and 5 m.
All initial trials and platform clearances have been carried out with the F-16, but SPICE will also be qualified for the F-15. Rafael has made form and fit checks with the A-4 Skyhawk, and the company has undertaken significant integration studies with the Saab-BAE Systems Gripen advanced multirole fighter. Rafael has noted that the Gripen's existing advanced datalink system makes integration with the SPICE a very easy process. It uses the MIL-STD 1760/1553B databus to communicate with the launch aircraft. The pre-planned target co-ordinates can be set in the cockpit, or via a data cartridge from the mission planning system. The SPICE can be retargeted in flight, before launch, and the stabilised seeker does have a limited off-boresight capability. For older aircraft that are not equipped with the 1760 interface, SPICE is also compatible with a common interface to minimise aircraft modifications. SPICE is optimised for high-altitude delivery to reach its maximum range. The weapon does not use a lofted trajectory so it is not well-suited to a low-level attack - the preferred tactic would be to penetrate at low level into the launch zone and then climb before release. When using the datalink it is possible for the launch aircraft to immediately turn away and still retain control of the weapon over 100 km (62 miles). The first drop tests were conducted by Rafael in 1997/1998. SPICE was developed to meet an IDF/AF requirement, but is not yet believed to be in Israeli service. Rafael is actively marketing the system for market. SPICE was offered to Chile as part of the overall weapons options for the Chilean Air Force's Caza 2000 fighter competition, for which the Advanced Block 50 F-16C/D was selected in 2001. A combined Rafael weapons package of SPICE, the Litening laser designation pod plus Python IV and Derby air-to-air missiles was offered to Chile together with the Saab-BAE Systems Gripen. Chilean sources believe that the FAC hopes to integrate these same systems on the new F-16s (to be delivered in 2005/2006), though a final decision on any future weapons package has yet to be made. Rafael Missile Division, Haifa, Israel. Основная задача бортинженера ("Мехонан") на "Боинг-707" - управление штангой ("бум") дозаправки самолётов в воздухе. На фото - рабочее место этого "мехонана". На глазах у него очки, создающие 3-х метное изображение. В статье Авиационное оружие ВВС Израиля Попай упоминается, а что это на Мираже? А это в той статье тоже упомянается. Это - "Матра" R.530 ("Яhалом"). АМРААМом , надо полагать ; Sparrow древность. "Спарроу" непрерывно усовершенствуется. Его последние модели очень даже ничего, для ракет своего класса. Судя по публикациям в журнале ВВС, ракеты АМРААМ в Израиле используются только на F-15I, F-16I (ещё не прибыли) и F-15, модернизированных по программе "Усовершенствованный Баз". на VIF2Ne участник Макиенко, посетивший выставку ЛИМА2003 в Малайзии, описывал отличия Су 30МКМ от "индийского" Су 30МКИ. Вот что он написал, в частности :"..Базовый принцип нового лица – отсутствие израильских компонентов, каковых в Су-30МКИ два – индикатор на лобовом стекле от Ел Оп и какой-то лазерный под. Все это заменяется на САГЕМовское оборудование. Малаи утверждают, что индюки много чего намешали из политических соображений и что это плохо влияет на боевую эффективность, а вот малайзийские ВВС техзадание выдадут более прагматично. Наши источники об израильском ИЛС отзываются тоже плохо. ..." На мою просьбу детализировать, по возможности, притензии к изр. системе, он ответил вот что "Здравствуйте, уважаемый Сталкер. С меня, гунитария голимого, какие же подробности? Мне сказали наши (российские то бишь) прибористы- израильский ИЛС - дерьмо. Что это значит - даже если бы я спросил и даже если бы мне ответили - я бы все равно скорее всего ничего не понял." У кого нибудь есть что нибудь дополнить? Как - то раз довелось мне разговаривать с одним крутым товарищем с Рафаэля , так он сказал , что ИЛС Эль - Опа - это не самая лучшая продукция . Дерьмом он их , конечно , не обозвал ... но вот так . Кстати , чувак участвовал в проектировании Кфира и стоял у истоков Лави - так что знает , о чём говорит .